United Auctions is putting an experienced team of rising star auctioneers at the helm of the Galbraith Stirling Bull Sales next month. 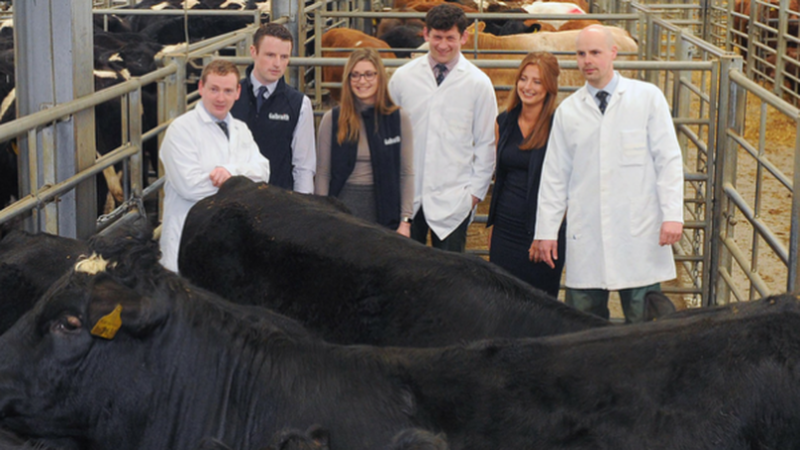 In a nod to 2018 being the Year of Young People, a trio of next generation auctioneers - Ross Fotheringham (27), Raymond Kennedy (27) and Murray Rainnie (30) will between them lead the sales of 283 pedigree bulls and females at the May event. United Auctions' commitment to succession planning and advancing people from within the Company is shared by its strategic partner Galbraith who became the sole, all-year sponsor of the Stirling Bull Sales this year. It's great to see another breed record entry for Simmentals and we're delighted to have the support of so many pedigree breeders who recognise the value of being part of the May Bull Sales. Handing the gavel for this set of sales to our next generation of leaders is a huge tribute. They may be young in years but they have solid experience of both pedigree and commercial sales under their belts, and it shows just how much confidence we have in them by letting them take the mantle of such an important event.